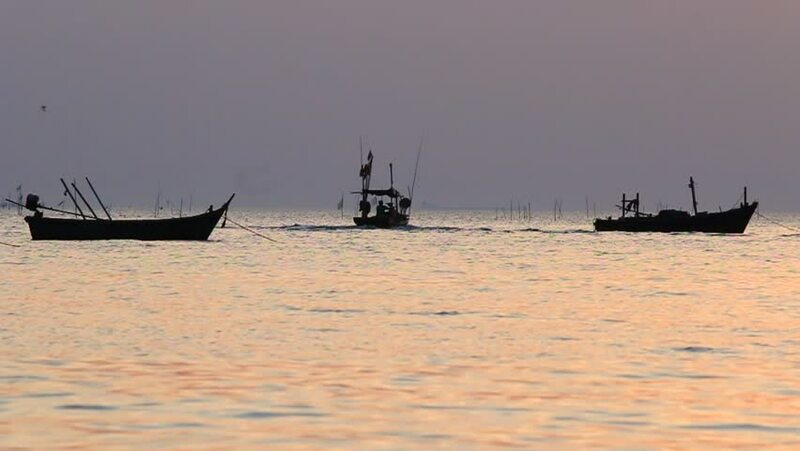 Fishing boat at sunrise on the beach,thailand. hd00:22Aawnoi Sub-district, Muang District, Prachuap Khiri Khan Province , Thailand. Bay with boats.